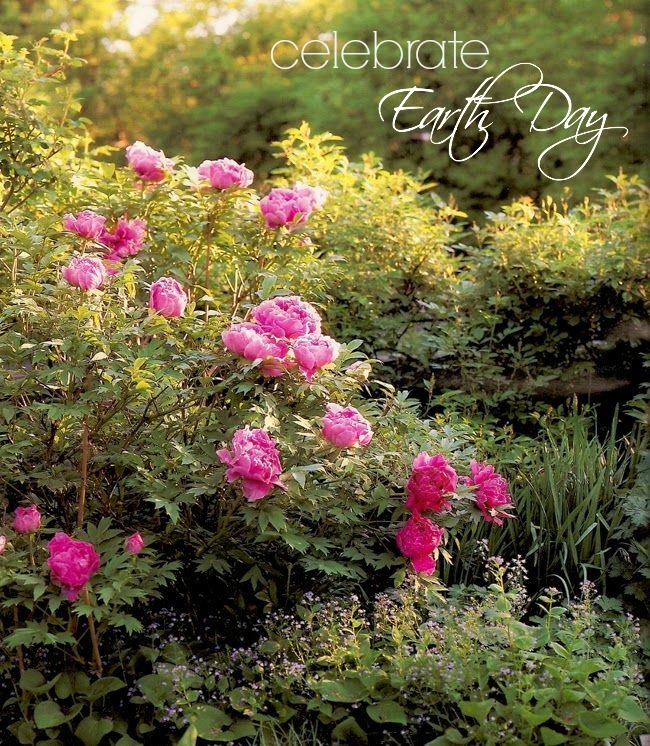 Today we celebrate Earth! The land, and only land we have to live on. Over the years, the world has definitely made strides helping in the recuperation of the environment cause from destruction it has undergone. Although they have been small improvements, the awareness is getting out there; more companies, brands and resources are readily available and out there, doing their part in making a change in the environment, or helping us live more sustainable daily lives. While I would’ve loved to share a post on gardening plants that give back to the earth, I decided instead to share some of my favorite nature focused posts and resources to help you celebrate Earth, not only today, but everyday! I started my own garden last summer, and have already dug out a bigger plot for my goodies! Take a look at some photos of my vegetable garden. A garden without flowers just isn’t as pretty, the peonies should bloom more this year, as well as the ranunculus I just planted. There is plenty of color and variety in my garden flowers seen here. You don’t have to have a bright green thumb to care for the environment, here are some easy garden ideas you can recreate. If you’re garden overflows with herbs and greens, use whatever you can to cook, but you can also make pretty arrangements using the fragrant herbs mixed with flowers. These arrangements are lovely, and simple to create. While it’s easier to do our part for the environment day-to-day, we often overlook how to do the same when planning a wedding or event. Here are some simple details that are unique & eco-friendly! Is there any better way to celebrate Earth Day then heading to your favorite park for a picnic?! My mantra in the kitchen is to use produce that is in season. Depending where you’re located in the country, you may be seeing cherries and strawberries already, so whip up a berry filled pie to celebrate this amazing season. I shared some tips and ideas on how you can make a difference on Earth Day here. I’m very fortunate to come from a family of farmers in Portugal and had the chance of making wine the old fashion way. It was and still is one of the best ways I’ve connected to nature. Looking forward to many afternoons in one of my favorite gardens, the Van Vleck House and Garden is definitely worth the visit if you’re ever in Montclair. How will you celebrate Earth Day? Would love to hear your tips and ideas on how we can make a difference!